LADYGARDNER has no current links. Never ending Retired div grandmother, still trying to lose weight, and be more healthy, looking for people in same category. 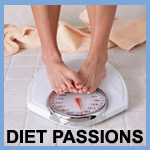 Swap ideas, recipes, info, concerning dieting and all it entails.